Posted in: Uncategorized. Tagged: blogspot, Diablo III, video games. 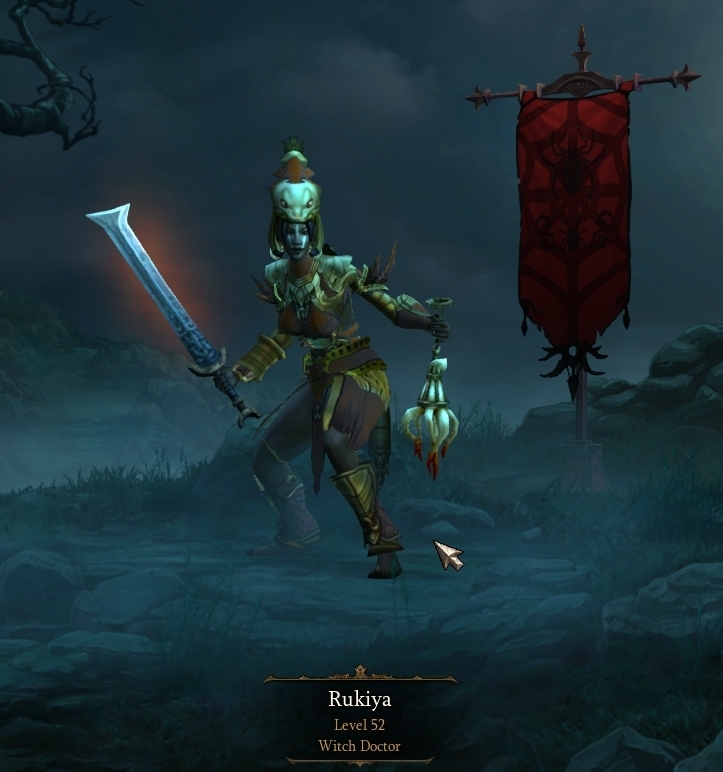 So, like most of you, I’ve been playing a lot of Diablo III. I’ve mostly been playing my Witch Doctor (level 52 and in Hell Act 1 now), mostly solo though some grouping as well. Some of the fights have been an interesting challenge and Hell is noticeably more challenging than Nightmare (Normal was a joke). Crafting and the Auction House have both been somewhat disappointing so far – crafting is generally more costly than justify its rewards and the Auction House has a disturbing habit of being up and down all the time as they sort out various issues with it (it’s also rather lacking in search functionality and limits users to 10 listings which is a bit disappointing though I understand it). Blizzard posted a dev blog this morning (Game Design Update) describing some of the issues they’re seeing with balance and play-feel as well as roughly outlining some of their intended solutions. It’s well worth a read if you’re interested in Blizz’s perspective about the course of Diablo III, and of course I have a few thoughts about it. This is an area where I’ve been mostly pleased with the design – I definitely feel like there are a number of viable builds for the Witch Doctor and quite a few of them are fun to play. For the most part I’ve been sticking to a fairly pet-oriented build (dogs, gargantuan, Zombie Handler and Fierce Loyalty) but I switch things around from time to time and some builds are clearly better suited to some bosses than others. I can’t speak to the other classes, but this doesn’t surprise me at all. There are a few areas where I’ve run into issues with the Witch Doctor and I would say mana management is definitely a critical consideration for most builds (a couple of strong nukes are also important). After that point is where they start getting into class balance and that is where I differ from them (though not as much as most of their critics do, I suspect). Part of my perspective is informed by the point of view outlined in the Elder Game blog post Balancing for Awesome. A key quote: “We systems designers need to start balancing for awesome. Traditionally, we balanced for perfection…what’s important is that your game is fun, and you need to make that the primary goal of everything you do.” So Blizzard has got a couple of challenges in front of them with regards to balance; first, they’re going to be implementing PvP in a future patch (1.1 according to the dev blog, but no estimate on the time frame for that yet) and secondly, they’re going to be supporting a real money auction house (originally intended for shortly after launch and now with no specific date set for that either). So the question is, how do these things drive balance? And what does balance mean, in the context of a game like this? I imagine that they’d consider the game relatively balanced if the data they’re getting says that the classes are getting roughly equal play time and roughly equal gameplay progression. They’re not only tracking login and gameplay data (one of the reasons, I suspect, that they require users to always be logged into Battlenet while playing) but also player feedback on the forums and elsewhere. I also suspect that they believe (probably correctly) that continuing long-term player engagement will hinge on a perception of all classes being equally playable. Unfortunately (and this is where I’m connecting it with the concept of balancing for awesome), they seem to be approaching this from the perspective of paring any particularly overpowered classes down to match the rest instead of tuning up the less powered classes. Admittedly this is more difficult to do and you always have to look at these kinds of questions taking into consideration how long a particular issue will take and how much it will cost to fix. Tweaking one or two classes down is significantly easier than tweaking several classes up. For the most part, I agree with this as a goal – I appreciate that they are trying to support a wide variety of playstyles and like I said earlier, this feeling that there are a number of viable builds is something they’ve done a generally good job with. My issue with their statement is that while it is undoubtedly true that certain runes/classes were overpowered, I don’t see any indication that they are also looking at the underutilized runes. Confession time: I have a personal beef here that is entirely about me being invested in a personal motif and not at all about a more general concern about game design and balance in Diablo III. 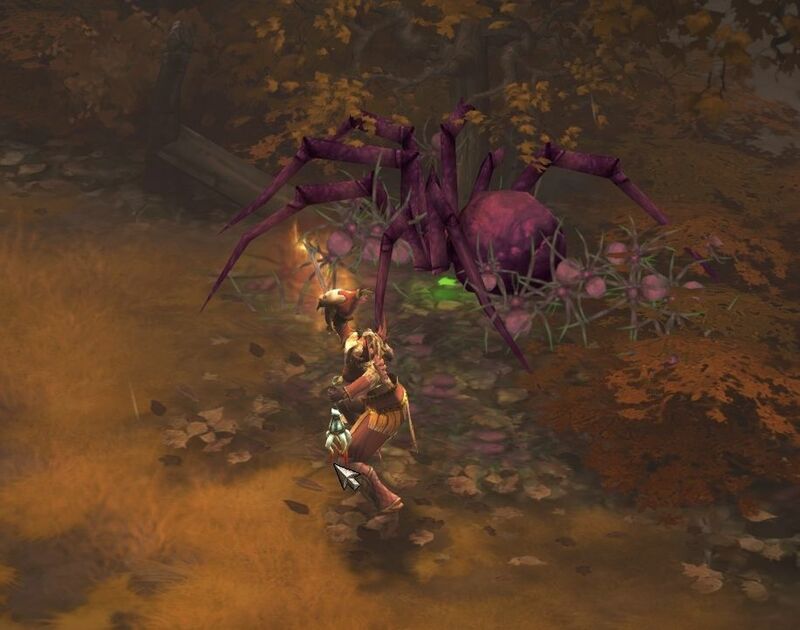 I want my Witch Doctor to play with spiders. Spiders are the reason I made a Witch Doctor in the first place and between the spiders and the pseudo-African element, the class is the most aesthetically appealing to me. However, I can’t bring myself to play with spiders. They’re just too underpowered and slow to damage, and as much as it pains me to give them up, it would pain me more to be playing in a significantly inefficient way.